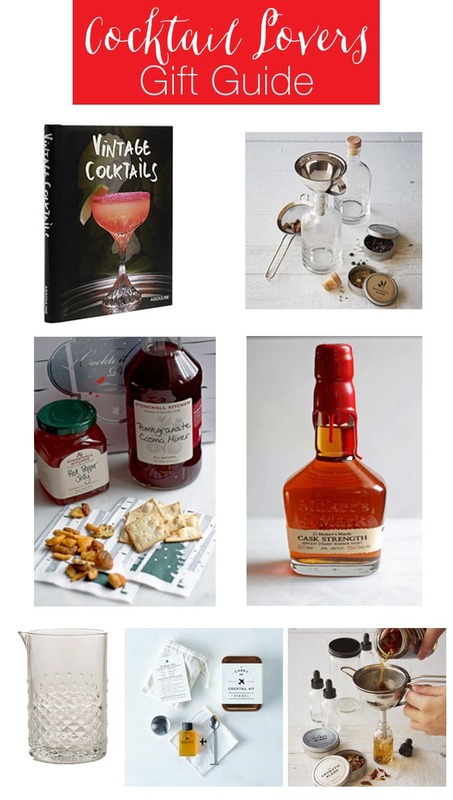 My 2015 cocktail lovers gift guide – perfect for the cocktail and liqueur connoisseur. Do you have a friend who always orders drinks from the signature cocktail list at restaurant? A friend who has a collection of weird liqueurs and simple syrups? A friend who owns a long handled spoon? You may be friends with a cocktail lover. As a fellow cocktail lover, I sat down and made a gift guide full of all of the things I wish someone would buy for me. Hint hint family and friends. This post contains some affiliate links for your convenience. I was provided with samples of some products to take pictures. Click here to read my full disclosure policy. Head over to your local liquor store and ask the proprietor if they have anything unique (or do what I do, and walk around the store to discover them on your own.) 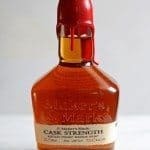 My current favorite – Maker’s Mark Cask Strength bourbon. This is marketed as a pitcher but I think it would be great for mixing up some cocktails. Stirred, not shaken – right? It has everything I need for a delicious girls’ night in. If you have a cosmo lover in your life, this is the perfect gift. Help make your friend’s next trip a lot more fun from the start. Head to Crate and Barrel, Cost Plus World Market, or any other store that has a good selection of glassware. Instead of buying one of the pre-made bar tools sets, put together your own! This handy kit makes it easy to brew a batch of homemade bitters! With just a few ingredients and the right pour, every host should stock this book in his or her bar. A handy kit that makes bright, herbaceous gin that’s perfect for Negronis, Martinis, Gin and Tonics, and more. You can head to antique shop, a thrift shop or your local shop – the idea here is to shop for unique or one-of-a-kind glasses. 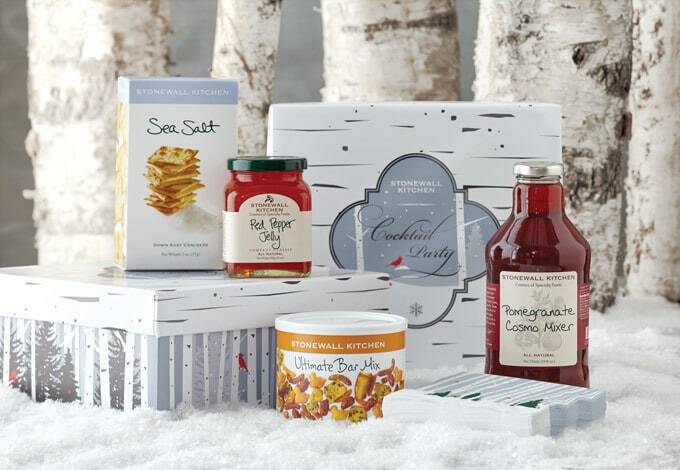 Enter here to win a Stonewall Holiday Cocktail Party Box! This post contains some affiliate links for your convenience. I was provided with samples of some products to take pictures. 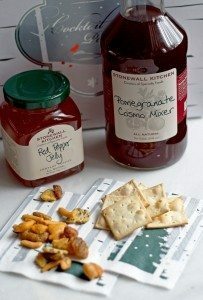 This giveaway is sponsored by Stonewall Kitchen. Click here to read my full disclosure policy.